The inspiration for this jewelry box book came from a study of Japanese haiku. I took several verses of translated poems and composed one of my own called "The Bony Salmon." 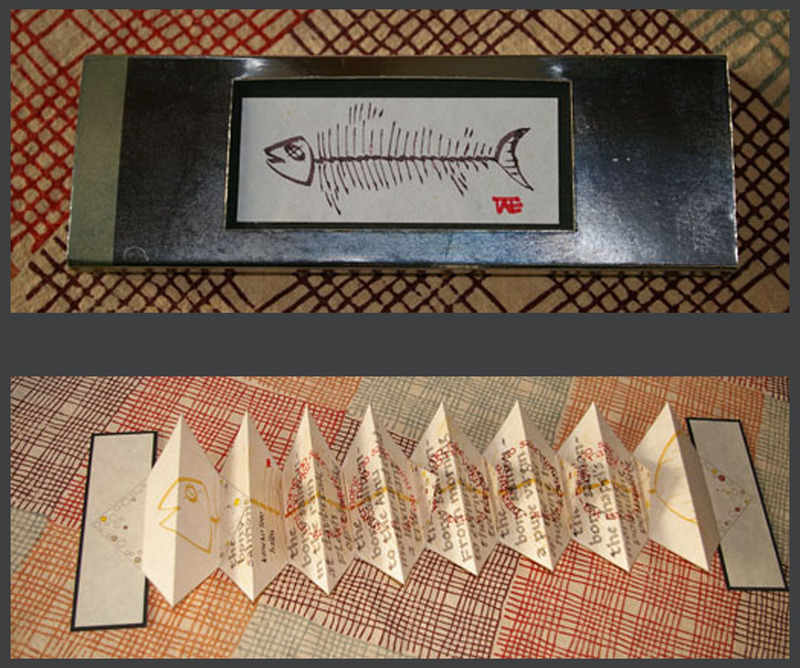 I created a page design in CAD (a computer-aided design program), glued the pages together, watercolored the salmon skeleton, and calligraphed the poem over the image. 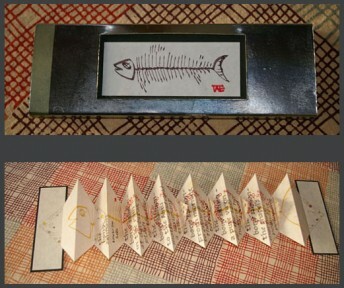 This was a unique project—an example of a book that could be custom made for a special pet, friend, or dream.